Fallout 76 will be Bethesda Games’ first online game. Players may play individually or with a party of up to three others. Elements of previous Fallout games will be present and modified to work with the real-time game. The V.A.T.S. system—a mechanic first introduced in Fallout 3 that allows players to pause the game to target specific locations on an enemy’s body to attack—will be used in Fallout 76 as a real-time system, though it will still allow players to specify targets on an enemy’s body. 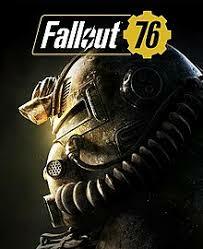 All the servers for the game will be dedicated, with the player automatically allocated to one of them.While the game is expected to launch with public servers only, game director Todd Howard revealed plans for private servers to be introduced some time after the game’s launch. Howard described the delay as being necessary to allow Bethesda time to assure the stability of public servers. I have never played a Fallout game and won’t be able to play this one. However, I do realize this is a hard turn from the previous Fallout games as they have all been single-player and other players add an element of instability. One surprising thing is that the players who have played for a longer period of time have been helping out the noobs (new players) by giving them shelter and food. People, if given the chance, are actually nicer in Fallout than in real life. Turns out the apocalypse does bring out the best in people. All in all the game is not battle royale so that is a definite plus.